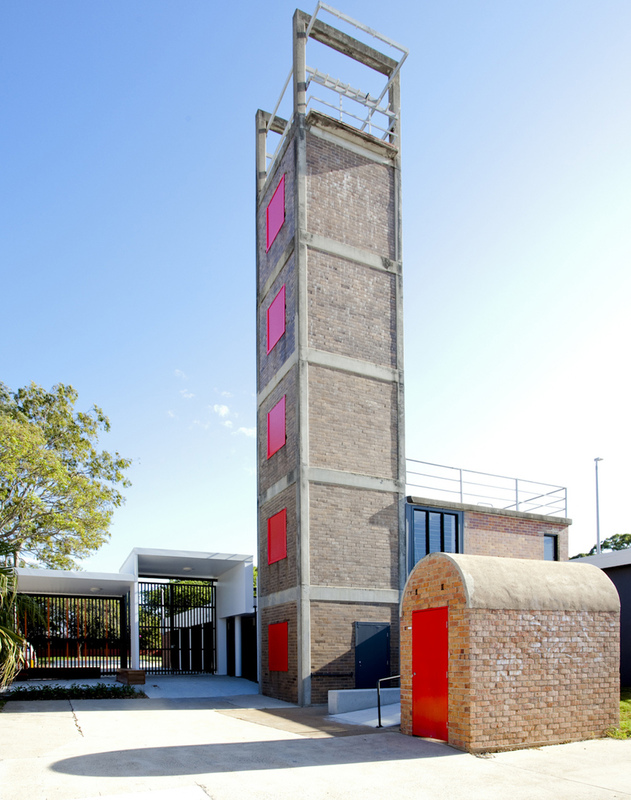 Wilson Architects has recently completed the redevelopment of the former Redcliffe Fire Station for Moreton Bay Regional Council. The old fire station has been designed to maintain as much of the existing infrastructure as possible, converting the precinct into a series of community arts facilities. The project began with an understanding that the budget may not be sufficient to undertake all of the works. It was agreed to develop documentation of separable portions that could be exercised at tender to meet the budget. A carefully managed design and documentation process resulted in tenders only marginally higher than the budget and it was decided to increase funding for the project to enable the complete refurbishment. The development scope positively reflects the new and dynamic use of the complex as a community hub and arts precinct for the Redcliffe Arts Society, pottery group and community volunteers. The design creates a sense of place and community by pulling together existing disparate building components. The project also enhances the significant heritage fabric of the Fire Station by creating visual legibility between the original building elements and more recent interventions.